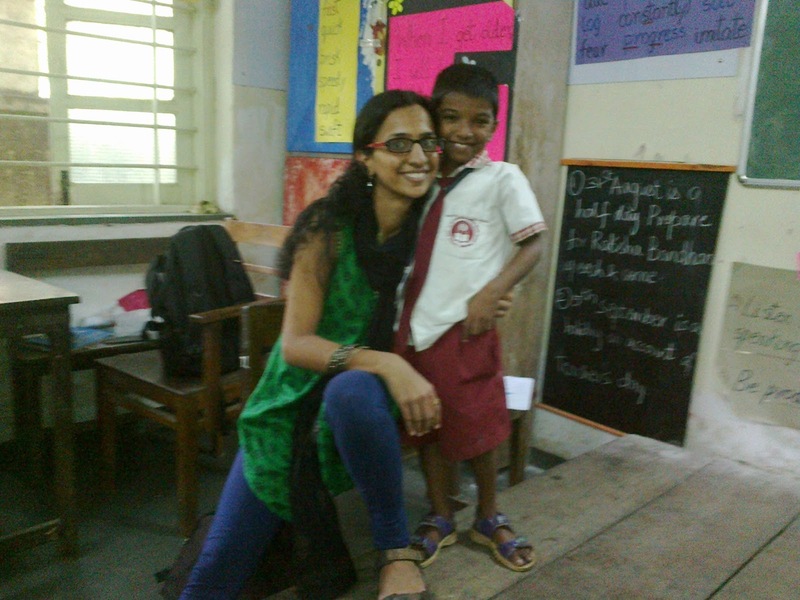 This story was sent by Sindhu Ankisettipalle.Sindhu is a Teach for India fellow currently teaching a group of 40 young, talented and all time motivated children. She is a post graduate who completed my M.Tech (Biotechnology) from SRM University, Chennai. She came to know about TFI, the movement and the vision through one of her friends. The vision, the goal and the mindsets of people working in this organisation made her apply for TFI and then she moved on in joining TFI along with 200 other fellows in the year 2011. She teaches the III grade kids in People’s Education Society, Dadar. As a part of the International Day Celebrations, I conducted a story telling session in my classroom in Mumbai. Being a student and a teacher for over the past one year; teaching, learning and re-learning from my experiences in the classroom has inculcated within me a sense of possibility in the movement. 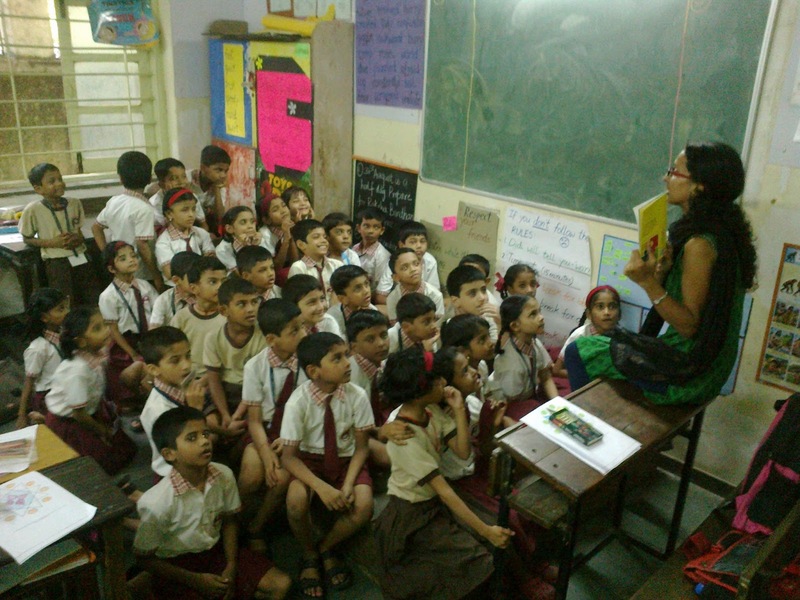 During the last one year, read aloud and shared reading sessions have become an integral part of my literacy lessons especially since I have children of varied grade levels in one class. Just the day before the International Day Celebrations, I had given a brief outline on what our session would be on and the importance of this day. 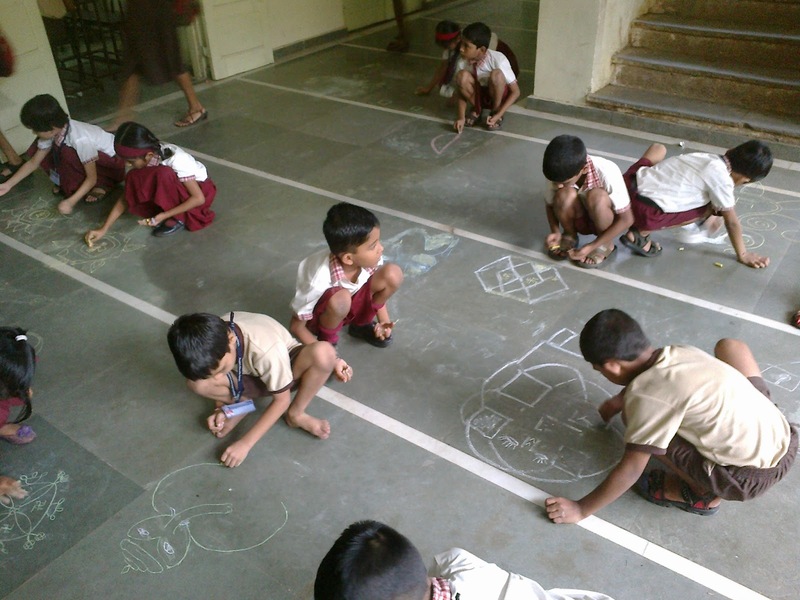 I had mentioned to the children that it was a story from the integral part of India and that they would be learning a new set of vocabulary while doing the reading together. I added to this saying that the class tomorrow will be colourful, knowledgeable and fun since we also have a surprise activity based on the story we would be reading. The next day, the kids entered the class and were overwhelmed looking at the kolam designs of varied colours that I had drawn on the black board and the poster of Pratham saying it was the International Literacy Day. So as the day progressed, we kick started the session by asking a few questions looking at the cover of our story book. 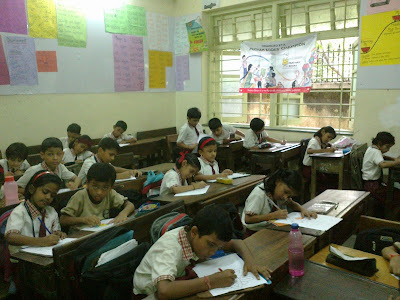 Many kids came out with extremely fascinating and interesting ideas the story was based on. 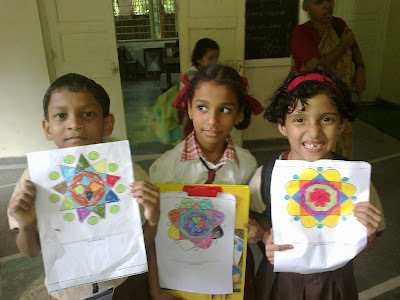 The little ones were excited when they understood what a kolam exactly was and how the little girl (like one of them) in the story could draw kolams on the walls, trains, floors, the stairs and jet planes. 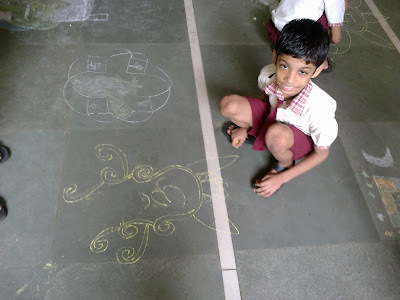 Then we worked in pairs by guessing where Sheela would draw her kolams on, while she was staring up at the twinkling stars. 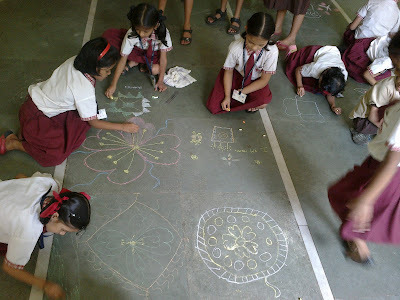 And then, we ended the read aloud session by analysing, asking ourselves how she would reach the stars to draw her kolams? The tiny tots were coming out with brilliant ideas like reaching the moon and peeping out of the moon to draw a kolam, go via a rocket or a spaceship to draw a kolam and to an extent where in, one kid mentioned about making friends with the aliens and seeking their help. It really helped trigger their imagination and I was very happy as a teacher to get such beautiful answers from the tiny ones! The session commenced successfully with a beautiful kolam colouring session followed by drawing a kolam activity. With the successful completion of the International Celebration Day, I hope to continue being a champion with Pratham and wish I could make read aloud a regular feature in our school. I'm sure reading will help the kids brighten up their future and help them achieve their goals. 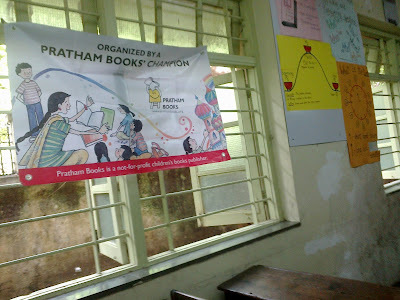 A huge thanks to Pratham books and the authors – for the variety, content and illustrations in the books. They are marvellous! Kids love it and it's a blessing for teachers like us to have an opportunity to build reading as a habit among our children groups.